Fall brings hoodies, pumkin spiced lattes, and GFP adventures! Fall is finally here! Cooler weather, hot apple cider, and campfires are just around the corner. Reserve your boarding pass now for Global Family Philanthropy's 7th-annual Imagine Fundraiser, taking place Saturday, February 20, 2016. For just one night, GPF guests will gain first-class entry to the legendary Red Room at Hangar One, a members-only venue usually only accessible to the Valley's jet set. Wheels are up at 6:00 p.m., with cocktails, live music, dancing, and a gourmet internationally themed dinner, along with non-stop fun in the form of live and silent auctions. Beyond the sleek new venue, the heart of the event remains the same: attendees young and old joyfully coming together to celebrate the warmth and passion behind the Global Family Philanthropy mission. All proceeds from Imagine 2016 are used to empower poor families, children and the elderly in Haiti and the U.S. by providing access to shelter, education, nutrition and a loving community of support. Tickets will sell out fast for the Valley's most exclusive philanthropic event of the year; don't risk going standby! Book your reservation NOW for Imagine 2016. GFP had a very exciting and productive summer. Volunteers worked hard to set up fundraising and charity events throughout the community. We hope everyone had the chance to stop by the Pop-up Charity Shop at the Scottsdale Waterfront. Many children (and their parents) were able to find quality new shoes for heading back to school in style, all while supporting our cause. 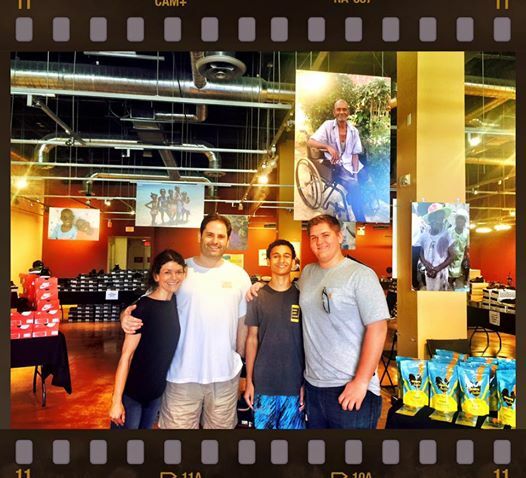 We loved sharing our story with the community and inspiring others through service. GFP would like to personally thank Shoebiz SF, Shoe Palace and Adrian Wilson with High Point Shoes for all the generous donations. This fundraiser was made possible by the donation of the space at Scottsdale Waterfront, and we thank the entire team there for their support. Special thanks go out to Ruth Rosenquist of BLEND Marketing, who took a particular interest in our efforts, and supported us the whole month long by producing press releases and promotional articles. As always, our family continues to grow through every connection we make! If your student needs service hours or you just want to volunteer, please contact Mary Lynn Korn 480-209-0444. We are looking forward to hosting other service events in the coming months. For the fifth straight year, Jared and Alex Cohen have dedicated their efforts to raising money for Global Family Philanthropy. 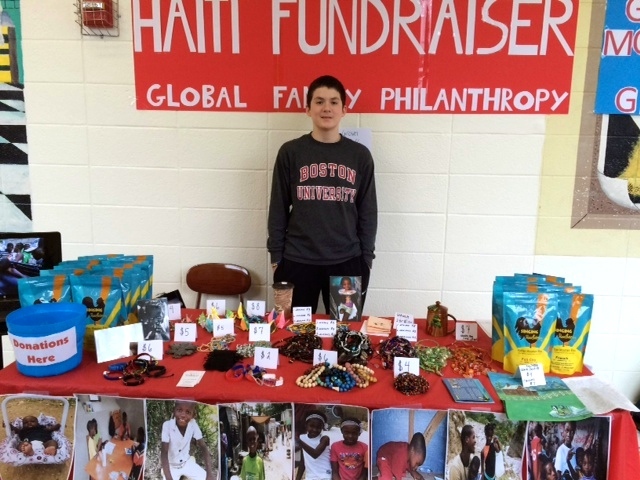 By selling jewelry, coffee, and artwork at their school and neighborhood in Yorktown, New York, they have succeeded in raising another $1000 to support our projects in Haiti. The boys have made it their mission to aid the children of Haiti, and both hope to join us on one of our upcoming volunteer trips. Their passion is inspiring, both to Global Family volunteers and to the supporters in their community. Global Family is incredibly appreciative of their efforts. It is with heavy hearts that we share this news: Last month one of our beloved residents, Montilvert Raphael, passed away peacefully in his sleep. 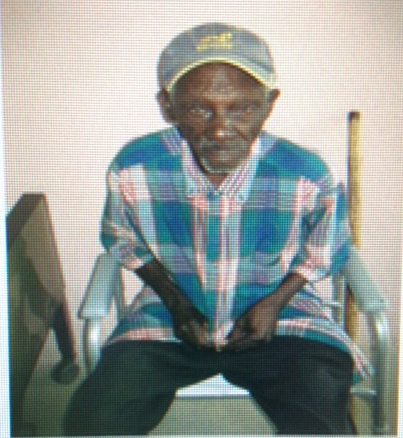 This gentle man was 100 years old and had been living in our bright and beautiful "Project Dignity"/"Oma's House" residence for the past 2 years. We are so grateful to all the donors who have made this project a reality. Your continued support helps keep this project going and allows these sweet people to live out their last few years with love and dignity. As a junior in high school, Maria Zorn traveled to Haiti with Global Family Philanthropy and was forever changed by her experience. When she returned to Arizona, Maria knew she wanted to continue assisting those she had formed a relationship with in Les Cayes, Haiti. She also wanted to create a shift in perspective among her fellow students. Maria's incorporation of the GFP Club at Chaparral High School led to a sizable following and thousands of dollars in donations that were sent back to Haiti. Years later, Rachel Brown continues Maria's dedication and hard work as the current president of the GFP Club at Chaparral High. She has helped the organization through various fundraising events and donations sent to the GFP kids. Rachel is currently a junior at Chaparral and hopes to coordinate a club trip To Haiti in the coming year. Join us in Haiti and make a difference. Volunteer in the GFP Children's Home, provide companionship for the elderly at Bon Samaritan, assist at Project Dignity's home for the abandoned elderly and help in our rural medical clinic. 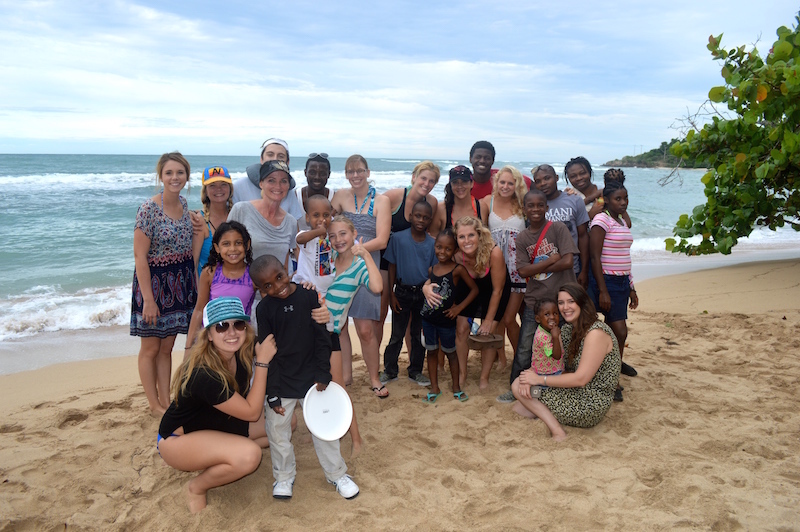 We invite you to join us and experience first-hand how Global Family Philanthropy is changing lives in Haiti. 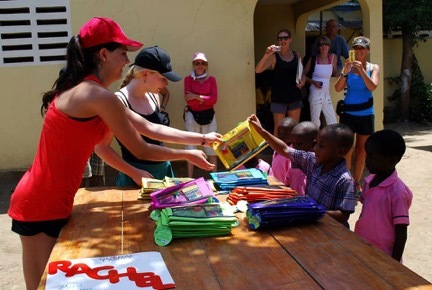 We encourage individuals, groups and families to join our volunteers as we tackle new and existing projects in Haiti. This unique philanthropic travel opportunity provides volunteers with a chance do some important work, experience a new culture and enjoy the beauty of the Caribbean in Haiti. 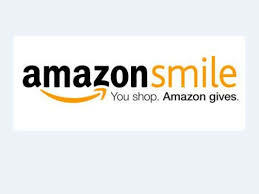 You can now support Global Family Philanthopy everytime you shop on Amazon! Just go to Amazon Smile and search for GFP. You shop, Amazon donates... It's as simple as that!